Booked a series regular on a pilot with Eddie Steeples! The short film #Currently got into the Los Angeles Comedy Festival. The short film #Currently will be screening at ACME theater in NOHO on April.16th, 2016! The short film JEDI CLUB will be premiering at the Austin Comedy Short Film Festival. Watch for Caroline's new comedic web series/short film #Currently coming out soon! Caroline won the Digital Entertainment World's 2016 startup award for her Periscope TV channel: PARACHUTE TV! Caroline is excited to announce she has signed with Ginger McCartney Management in Los Angeles! Caroline is excited to announce she has signed with Davis Talent Agency in Los Angeles! 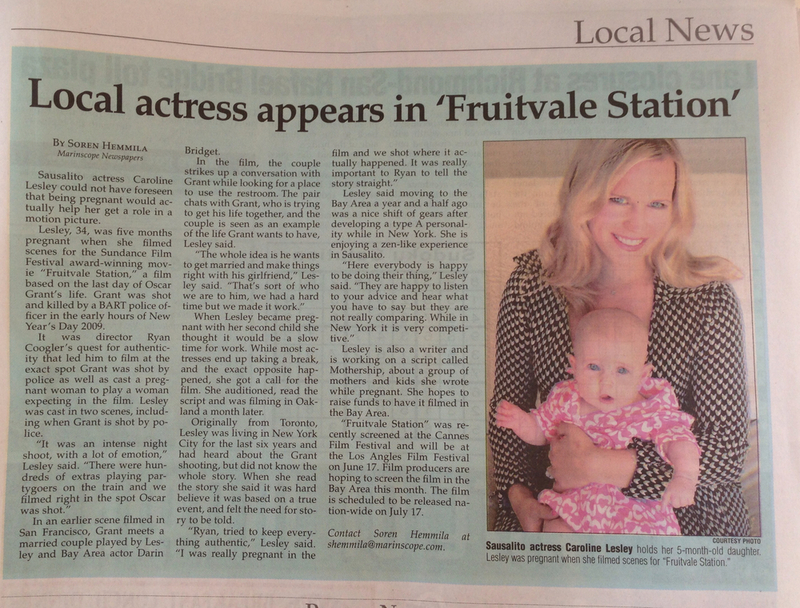 See Caroline in the Weinstein film Fruitvale Station starring Michael B. Jordan, Octavia Spencer, Kevin Durand, Melonie Diaz and Chad Michael Murray. Fruitvale Station won the Audience Award and the Grand Jury prize at The Sundance FIlm Festival 2013. Fruitvale Station also won the Future prize at Cannes 2013. The film will be screening at the L.A. Film Festival on June.17th. Check it out in movies theaters everywhere on July.12th, 2013.